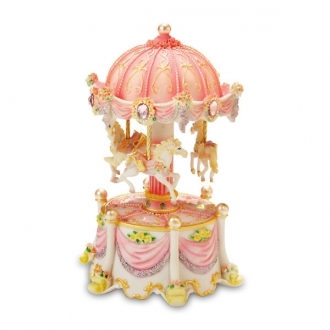 Adorable and extremely well detailed music box, shaped as a carousel. 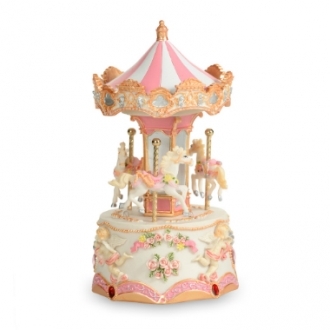 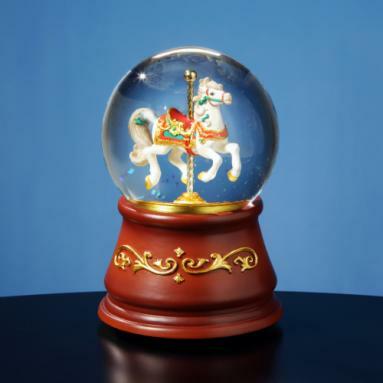 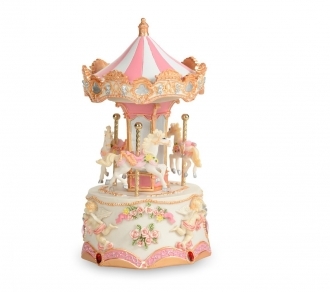 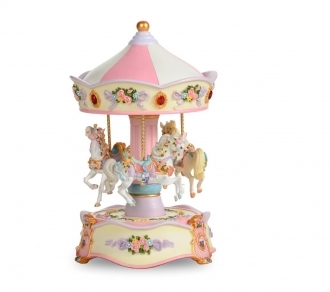 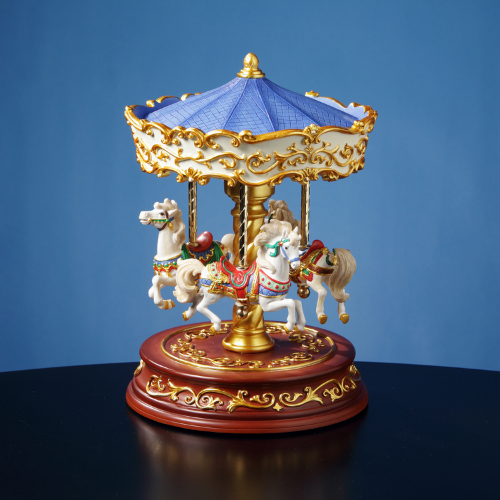 This carousel is sure to bring up warm childhood memories with an addition of a bit of luxury and style. 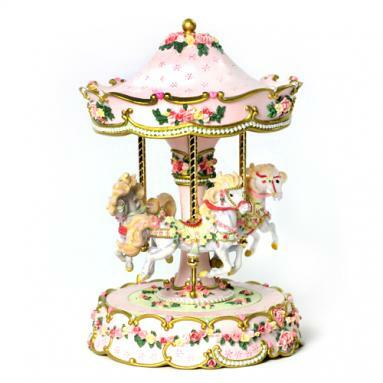 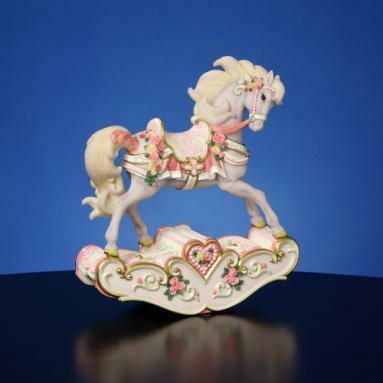 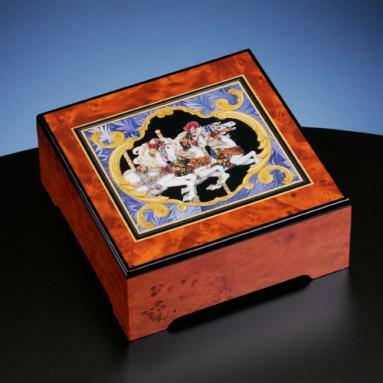 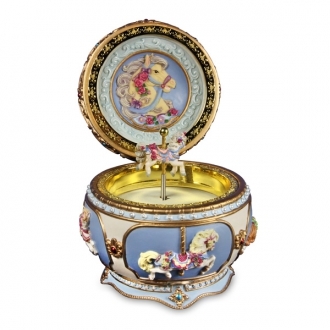 The melody used in this music box is “Carousel Waltz”.